Marble is one the favourite natural stones used in interiors, but have you noticed the recent rise in popularity of Travertine? A form of limestone, it has a more fibrous texture than marble, and exists in white, tan, beige and cream-coloured shades. 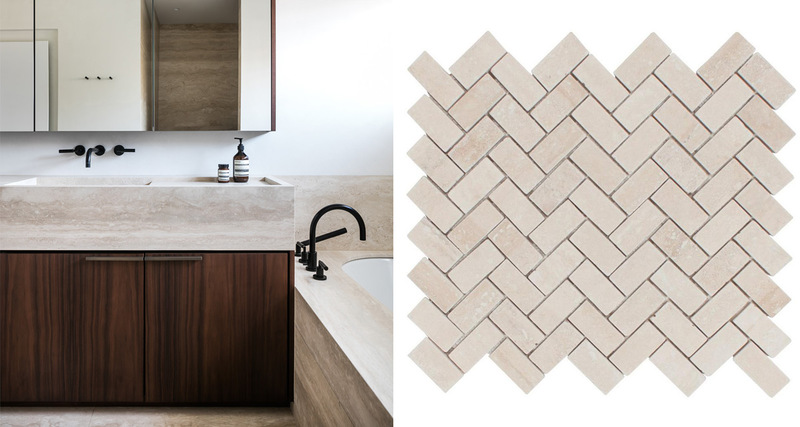 We love the soft sand coloured tones, especially in sculptural accents and rounded applications. Somehow we feel it elevates the luxurious feeling in the material. 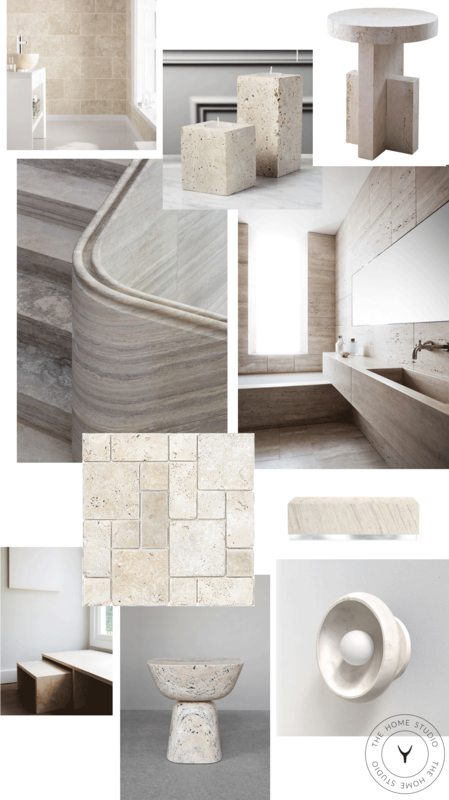 When it comes to travertine in bathrooms, we prefer the application in very modern settings and using oversized tiles. Small mosaics can easily look dated. Just remember that like marble it is quite porous so make sure a sealant is applied.